Svetlana Orinko has been at the forefront of New Zealand Art scene for over twenty years. As a young woman she received a Classical Art Education in Ukraine before immigrating to New Zealand in 1992. Since that time she has enjoyed amazing success and a growing reputation as one of the country’s top watercolour artists. 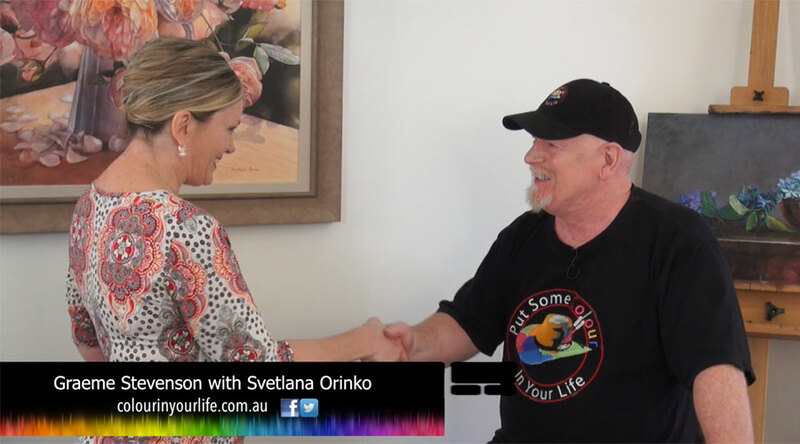 Svetlana Orinko has won numerous Art Awards and has a strong following. Her impressive paintings are due to her ability to transform any chosen subject into visual poetic language. Covering an infinite variety of subjects, her sensitive, lyrical and atmospheric paintings have captured people and galleries from around the world. She feels strongly that an artist must have good academic training, master art of drawing and understand form, composition and colour to express well their own passion for their subject matter. Abstract Realism is artistic philosophy behind Svetlana’s approach to painting. The language of paint, edges, value and colour create a visual concept that independent of a realistic image. It’s a visual point of view in which the subject matter is a vehicle not the reason for painting the beauty in today’s world.